Mike Meire — Textfield, Inc.
45 graphic designers, 90 photographs, 10 years of books on contemporary art. This book is based on an invitation to graphic designers to choose two books on contemporary art from the past decade whose design they think is particularly pertinent to the content, to photograph one double-page spread from each book and, if they wish, to comment on their choices. 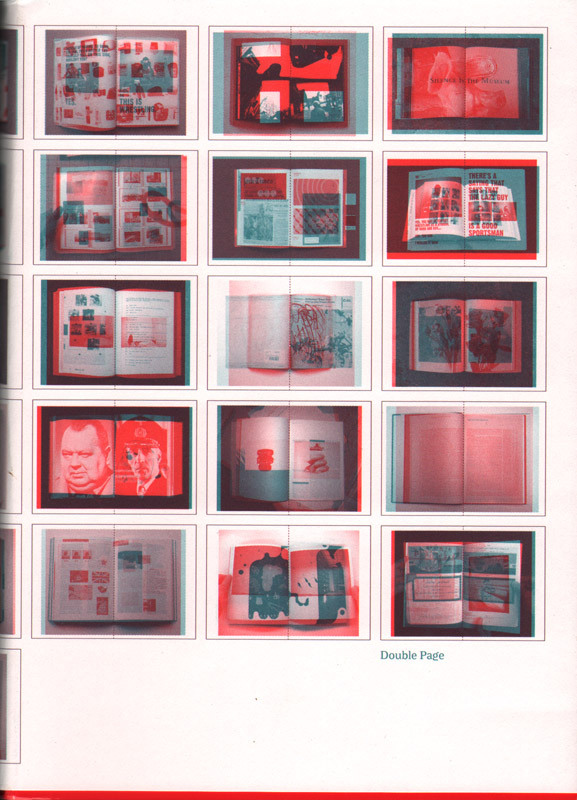 Double Page provides a selection of recent art publications as viewed by graphic designers who are internationally known for their contribution to that field, and offers a glimpse at the role of book design today in our knowledge and understanding of contemporary art. 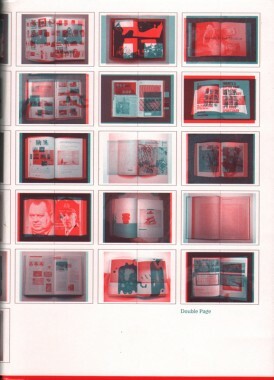 Shedding light on this prevalent relationship between art and graphic design by means of photography, Double Page constitutes an unprecedented document of how graphic designers see the work of their peers and their own practices as an essential part of the editorial process. Our knowledge of images is my material,” says artist THOMAS DEMAND in part of our 40-page Demand Dossier featuring interviews with filmmaker Todd Solondz, architect Adam Caruso, museum director Udo Kittelmann, and more; meanwhile Nike CEO MARK PARKER discusses creativity, commerce, and charity; Design Director at BMW ADRIAN VAN HOOYDONK tells Konstantin Grcic about the future of the driving experience; the MONTANA Club seduces Paris night life all over again; artist LUCAS SAMARAS pulls back the curtain on his prophetic creative vision; SLAVS & TATARS conjures ghosts of COMMUNISM past the 20th anniversary of its fall; photographer ALASDAIR MCLELLAN captures supermodel Trish Goff in a Big Sur splash; DANKO STEINER sets a new New York standard with CHLOË, MISSY, LIZZI, and NATASA in “Alphabet City”; the 032c SELECT premieres with 30-plus brand new pages of material culture. Rem Koolhaas, Jacques Herzog and Hans Ulrich Obrist consider Haus der Kunst, Munich: From Nazi temple to Art Laboratory; Collier Schorr tells Thomas Demand how she made Germany hers; LAM magazine transforms Moscow youth culture; art director Richard Pandiscio and Marc Jacobs’ Robert Duffy school us in luxury marketing; architect Greg Lynn curves his enthusiasm; a happy birthday to Maison Martin Margiela.